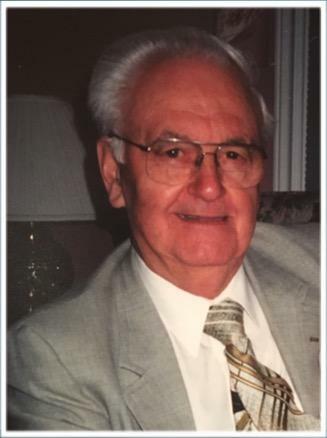 Passed peacefully away in the presence of family and friends at the Health Science Centre on Tuesday, January 8, 2019, Michael Joseph Cumby, formerly of Heart’s Content, age 90 years. Predeceased by his loving wife Barbara; brothers: Stephen and Patrick; sisters: Helen and Patricia. Leaving to mourn with fond and loving memories his son Tony; wife Diane; granddaughter Penny; sisters: Betty White, husband Bert of Heart’s Content and Kathleen Bara of Indiana; brothers: John Cumby, wife Paulette of Heart’s Content and Kevin Cumby of Carbonear; many nieces and nephews and a large circle of friends. Resting at Barrett’s Funeral Home, 328 Hamilton Avenue with visitations on Saturday, January 12, 2019 from 1-8 pm. Funeral service to be held from Barrett’s Memorial Chapel on Sunday, January 13 at 2 pm. Cremation to follow. As an expression of sympathy, flowers are gratefully accepted or donations in Michael’s memory may be made to Canadian Cancer Society, NL, as per his request. To view online guest book or leave a message of condolence, please visit www.barretts.ca.